USS Los Angeles. 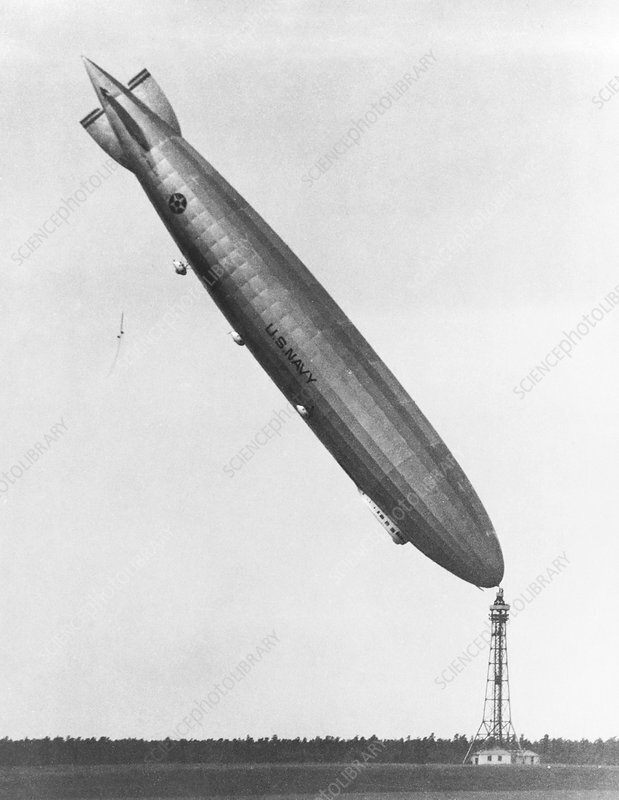 View of the airship USS Los Angeles (ZR-3) rising out of control to a near-vertical position, while moored at the high mast of Naval Air Station Lakehurst, New Jersey, USA. Los Angeles was a rigid airship launched in 1924. It was used mainly for experimental work, particularly in the development of the American parasite fighter program, and was decommissioned in 1932. This incident resulted from the sudden arrival of a cold air front that lifted the airship's tail causing it to rise before she could swing around the mast parallel to the new wind direction. Los Angeles suffered only minor damage, but it demonstrated the risks involved with high mooring masts. Photographed on 25th August 1927.